Sell Your Classic Aston Martin Today! 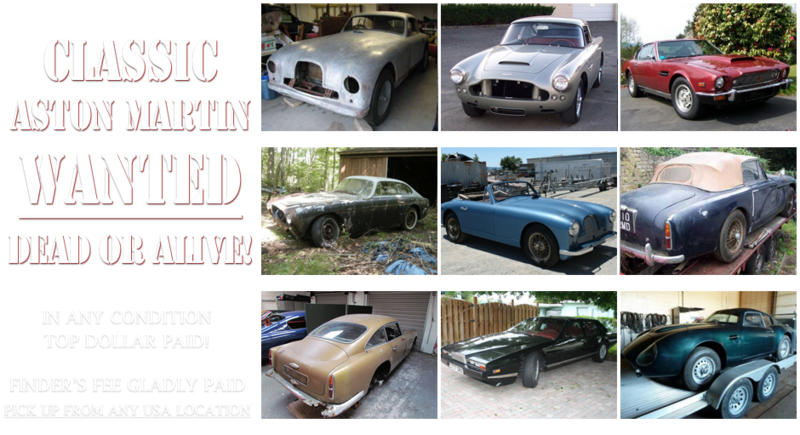 We are experts in the classic automobile marketplace and want to purchase your classic Aston Martin auto! Whether your car’s in mint condition, or was in a barn the last 30 years, we will buy your car today if it fits our collection of classic Aston Martin automobiles. If you have a vintage Aston Martin that you’re looking to sell, regardless of condition, PLEASE CALL US NOW AT 310-975-0272, or contact us via our website. At Beverly Hills Car Club we are happy to pay Top Dollar and in CASH for many types of Aston Martins: NEW, OLD, RESTORED, RESTORATION PROJECTS & EXOTIC cars. Are you looking to SELL your Classic Aston Martin? Any other Aston Martin. In Any Condition! And Tell Us About Your Classic Aston Martin!